DuCaR IrriCruiser MIDI Travelling Irrigator - HOW DOES IT WORK? Compact, easy to use, efficient, low labour, large irrigation range, safe, turbine drive, LOW-COST travelling irrigator suitable for agricultural irrigation, lawn, golf, race courses and mining sites. 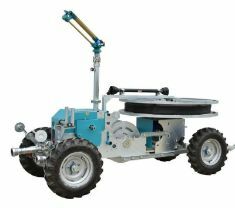 Latest Technology, heavy duty, easy to use, efficient, large spray width, turbine drive, soft hose travelling irrigator with FREE 3.5", 200 m lay flat hose. 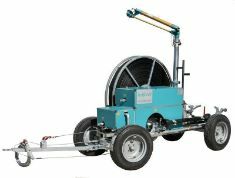 Turbine drive, soft hose travelling irrigator suitable for agricultural irrigation and mining sites. 3" - 3.5" - 4"
Compact, easy to use small hard hose irrigator perfect for hobby farms and horse arenas. 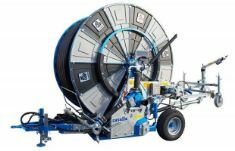 Do not buy a hard hose irrigator before comparing it with Casella's quality & efficiency! Best price guarantee, easy to use, efficient, durable, medium range irrigator. 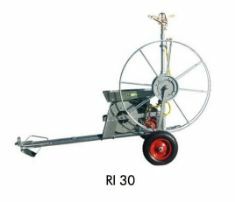 Diesel engine driven hard hose irrigator perfect for applications with LOW FLOW RATE and PRESSURE! Best price & quality guarantee! 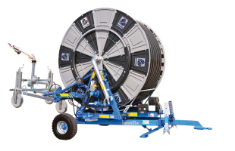 Cutting-edge technology hard hose travelling irrigator, easy to use, efficient, durable, high volume - wide range irrigation. 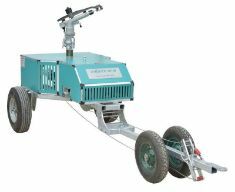 Squad type (sitting on the ground while operated) cutting-edge technology, turbine driven hard hose travelling irrigator for high volume and pressure irrigation applications. New generation ENGINE drive hard hose traveling irrigator. Do not waste your energy for operating a big irrigation machine. High volume & range, the most efficient irrigator in the market!